Oh my goodness! 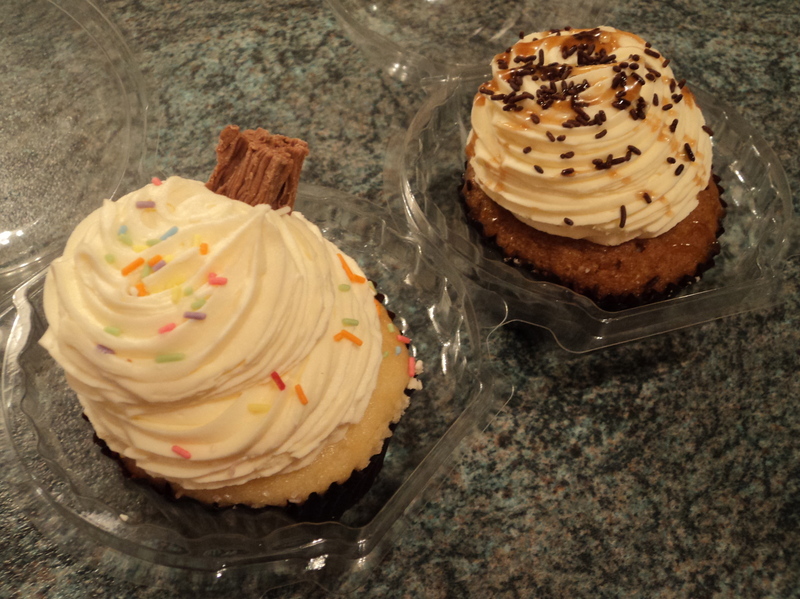 If you are in Leeds, take a little stroll through Queens Arcade and you’ll stumble upon Cupcakes by Charley. I imagine the cupcakes in the window will be enough to make you at least stop and gaze at their beauty, but you should really go inside and try one or two of their creations. On two occasions, we have had the vanilla sundae (it resembles a 99 cone with flake and all!) and the sticky toffee pudding (wow! WOW!). They are incredible. The cake is the perfect consistency and the icing, though piled high, is not overwhelmingly sweet. Check them out next time you are in Leeds or try their original location in Harrogate, if you’re in that neck of the woods. You can grab a cup of tea or a coffee in their little cafe to enjoy alongside your treat! The photos don't do them justice!